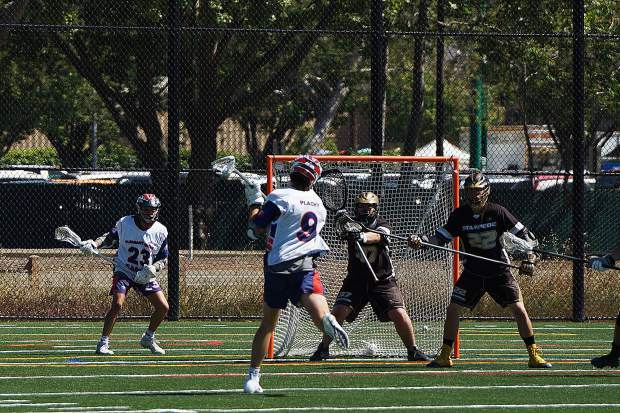 The Gold Country Stampede's Dylan Scott fires a shot on net.The Gold Country Stampede powered past Pleasant Grove last Saturday and will now face the Napa Force in the Northern California Junior Lacrosse Association Championship game Sunday. 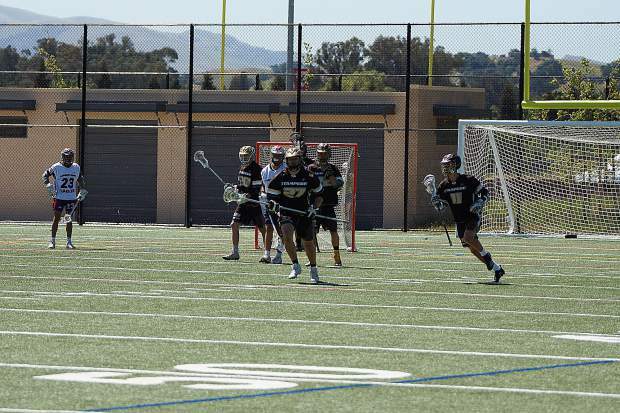 The Gold Country Stampede held the high scoring Pleasant Grove Eagles to just five goals in a 19-5 win Saturday. 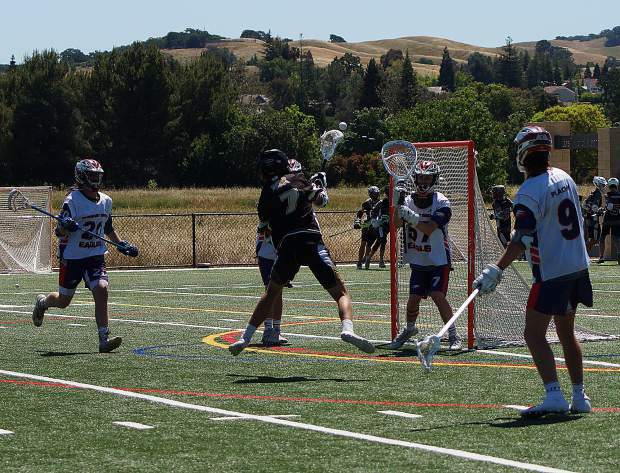 The Stampede will now face Napa in the Northern California Junior Lacrosse Association Championship game Sunday. 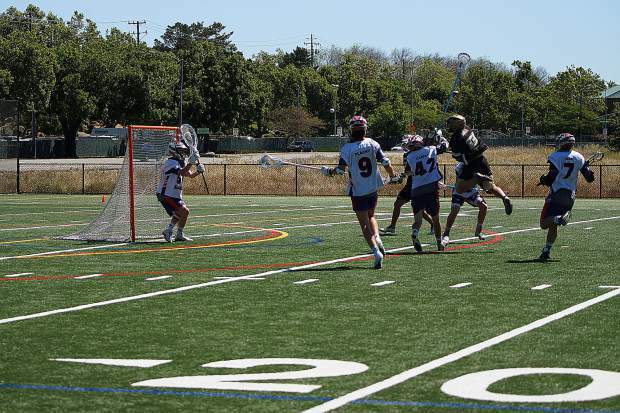 The Gold Country Stampede powered past Pleasant Grove last Saturday and will now face the Napa Force in the Northern California Junior Lacrosse Association Championship game Sunday. The Gold Country Stampede's Will Smith attacks the net during a game against Pleasant Grove. The Gold Country Stampede's Drew Heaps fires a shot on net. 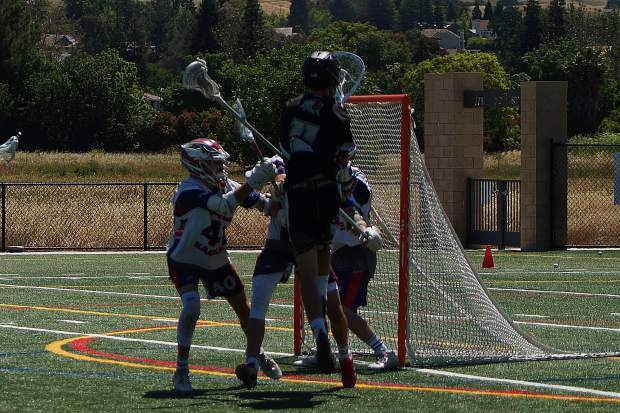 The Stampede powered past Pleasant Grove last Saturday and will now face the Napa Force in the Northern California Junior Lacrosse Association Championship game Sunday. The Gold Country Stampede took its No. 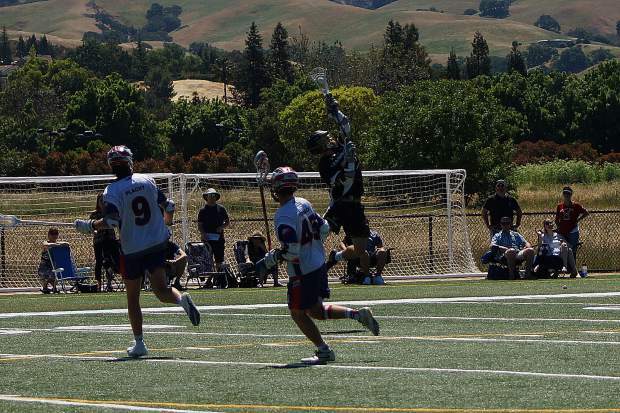 1 state ranking into the Northern California semifinals on Saturday at Patelco Sports Complex in Pleasanton. The local club lacrosse team faced a tough divisional rival in Pleasant Grove, which has a potent offense, averaging 12 goals per game. The Gold Country defense would deny them of that mark, though, limiting the Eagles to only five goals in a 19-5 win. 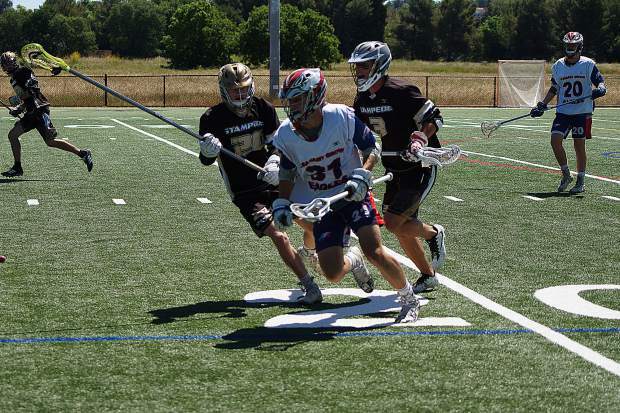 The Stampede’s defense has been stellar this year, limiting opponents to a little more than five goals per game on average. Saturday’s contest was no different. 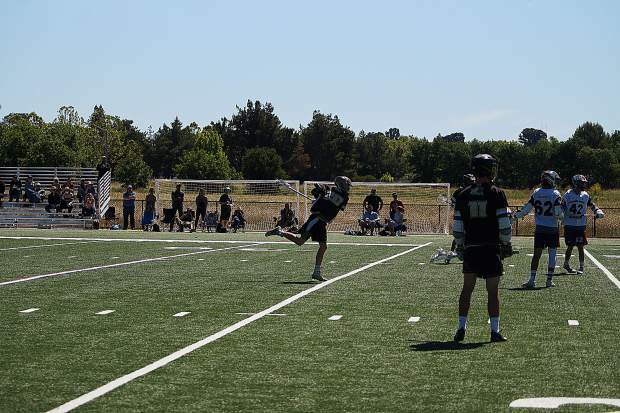 The shut down defense was led by junior defender Tyler Velasquez who has taken on the role of playing the opponents best attack man throughout the season, and he does it well. He was backed up by sophomore Jack Blair, who in his first varsity season has shown tremendous growth in talent and understanding of varsity level competition. Senior Keith Ward, who is another tremendous athlete, and Ben Beeman also had strong contributions at close defense. Defensive midfield specialists Danny Grattan and Carsten Siebels helped shut down the Eagles’ most potent midfielders. On the offensive side of the ball the charge was led once again by senior standout Drew Heaps at attack with seven goals and two assists. Not far behind was sophomore midfielder Tredan Maronic with six goals and two assists. 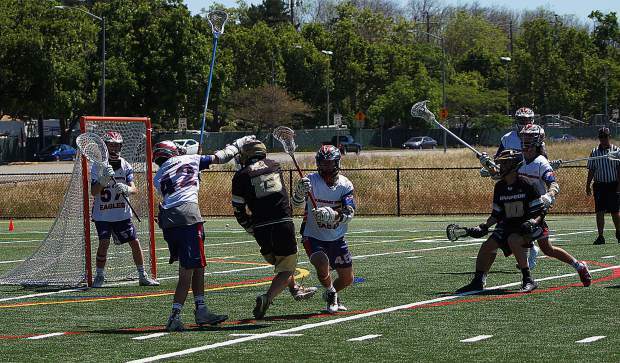 Junior attackman Dylan Scott contributed a strong effort with three goals and two assists, Scott also had one goal that will make the highlight reel, faking a feed to another player and leaving the defender in the dust, while he proceeded to bury the ball in the back of the cage. Tanner Takahashi was absolutely outstanding at the faceoff dot, winning 24-of-26 faceoffs. He also contributed two goals and an assist. Rounding out the scoring was Will Smith with a goal and three assists and Toran Maronic with an assist. 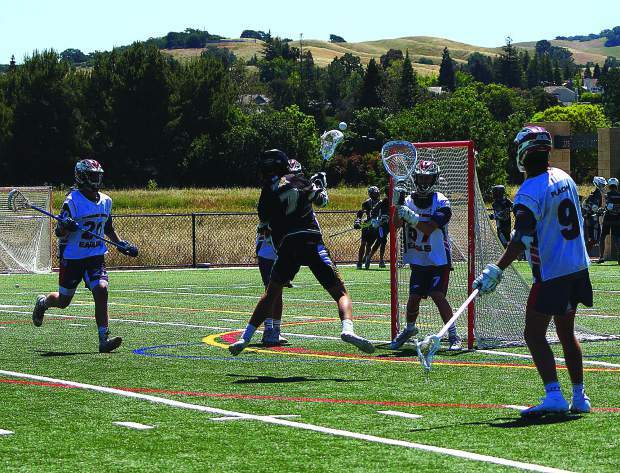 The Stampede (16-1) will take on Napa (10-3) in the Northern California Junior Lacrosse Associations Championship game Sunday at Patelco Sports Complex in Pleasanton. Napa is ranked No. 5 in the state and topped No. 2 Woodceek, 11-9, in the other semifinal to earn its spot in the title match. The Stampede also earned several postseason accolades as Heaps, Grattan, Takahashi, Toran Maronic and Tredan Maronic all earned All-NCJLA honors. Coaches may submit game reports by email at wford@theunion.com or by phone at 530-477-4232. State rankings for teams courtesy of laxpower.com.